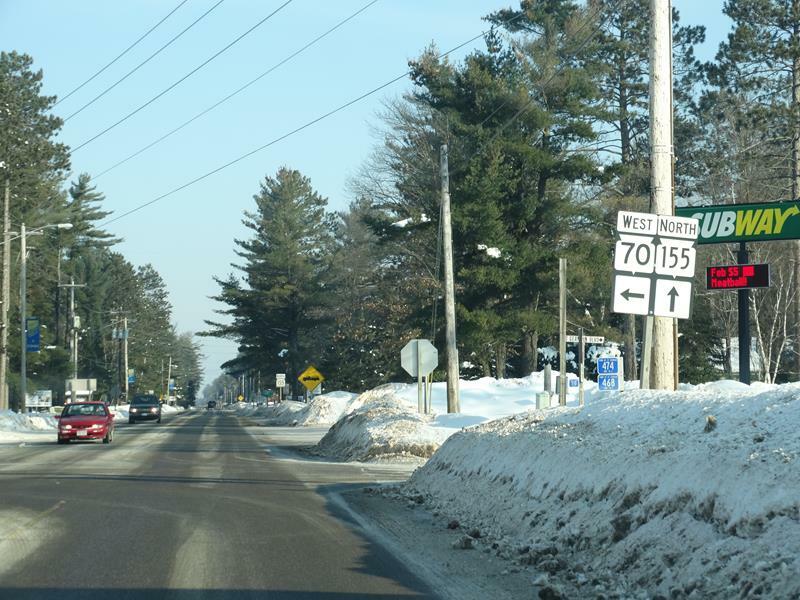 Quickie Summary: Highway 155 is a short, 7-mile connector route from Highway 70 in St. Germain to Sayner and Star Lake area. 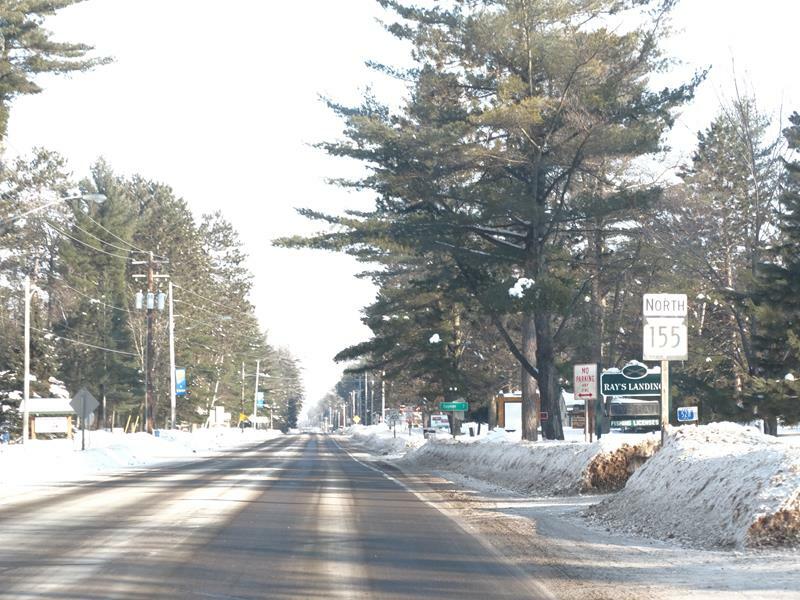 Along this short ride, the snowmobile was invented, you’ll find museums, shopping, and a tavern with a petting farm – and plenty of people head back and forth for summer and winter fun. 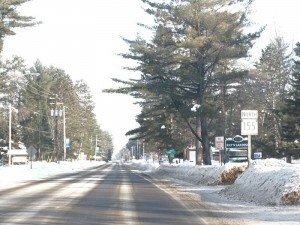 Highway 155 starts at Highway 70 in St. Germain, right near the where the Snowmobile Hall of Fame & Museum is located. 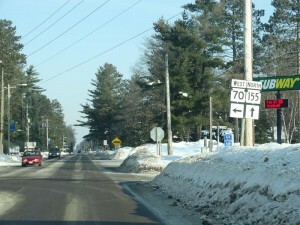 Highway 155 begins at Highway 70 in St. Germain; 70 curves west to Arbor Vitae, 155 forges north to Sayner. Tall trees frame almost the entire length of Highway 155. 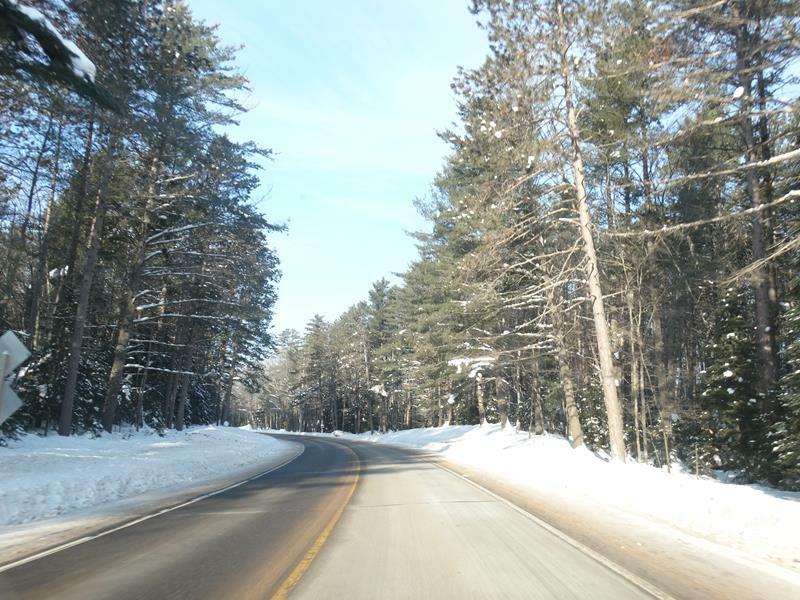 Highway 155 winds through the North Woods, intersecting more snowmobile trails and wildlife crossings than other roads for the brief but pretty drive. 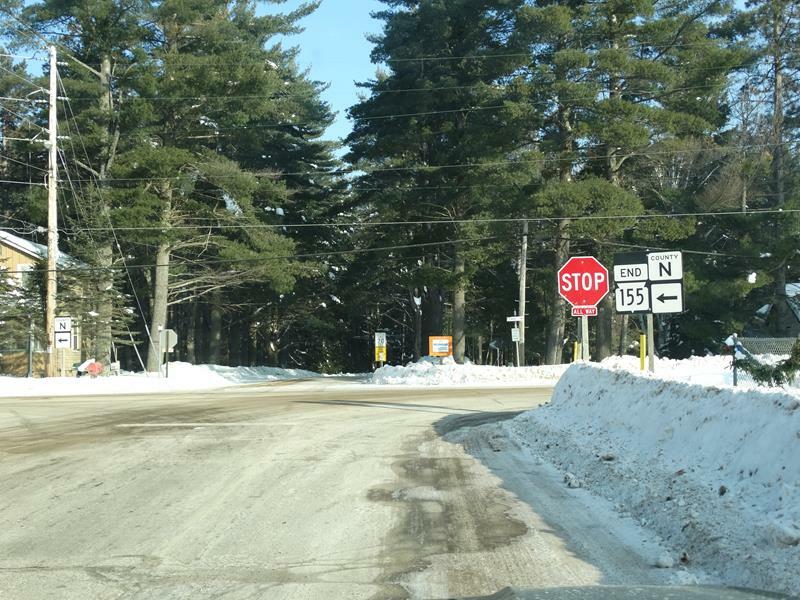 Access to Big Saint Germain Lake and Lost Lake is available via side roads. This whole area is part of the Northern Highland American Legion State Forest, which covers nearly 223,000 acres of Wisconsin’s North Woods. Shortly after the junction with County C, you head into the other town for Highway 155, Sayner (pop. 207). 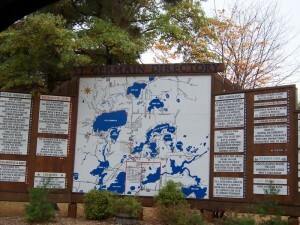 Sayner combines itself with adjacent Star Lake to offer plenty of recreational opportunities, along with some nice attractions. On the south side of Sayner you’ll find sled history and more in the Vilas County Museum, run by the Vilas County Historical Society. 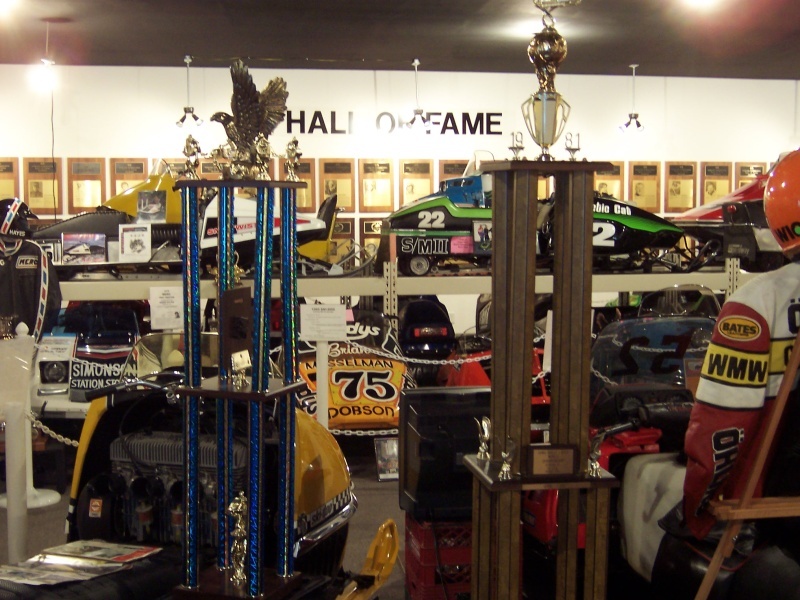 A 7,500-square foot trip back in time, the museum offers a look back at the County’s history with a big salute to its most famous invention: the snowmobile. Carl Eliason secured the patent for his creation in 1924, and his original sled is on display in a room filled with hundreds of other snowmobile models that have been developed since. 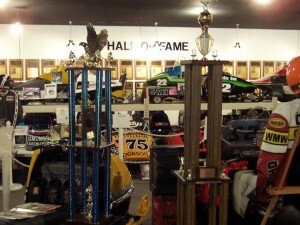 Antique exhibits, photographs, and other historic items are on display. You can’t miss the building: it’s fronted by a large statue of Paul Bunyan and Babe the Blue Ox. Also on the south side of Sayner along Highway 155 by the County C junction, you’ll Weber’s Wildlife (715-542-3781), which is a tavern – and also a petting farm during the warmer months. They’ve been laying claim to the “finest nite club this side of Sayner” since 1945. The animals you can pet are more recent. 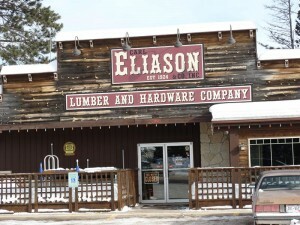 Into Sayner along Highway 155, you’ll find Eliason Hardware, It’s a hardware store – owned by Carl Eliason’s grandson – that also commemorates the motor toboggan invention by displaying numerous early models in rotation. 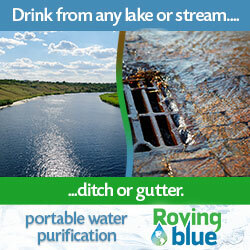 You’ll also find a historic marker for the invention there. 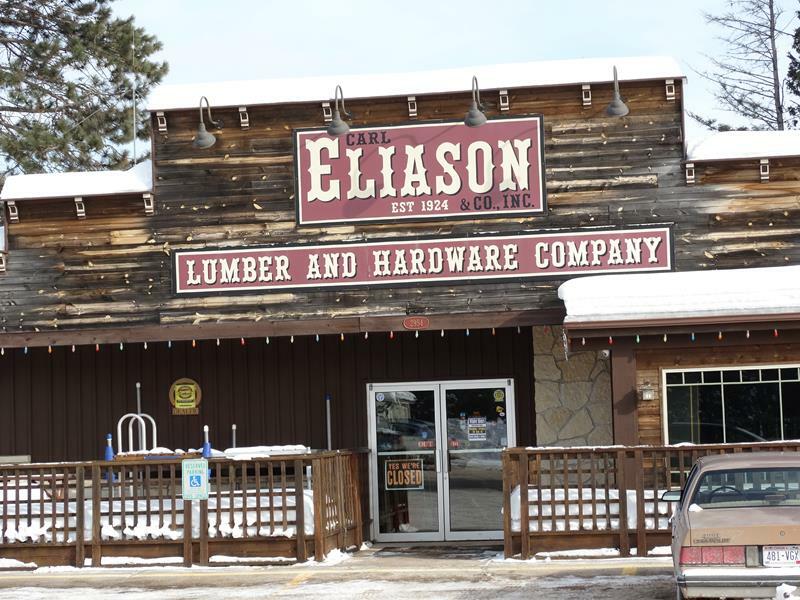 Find hardware and motor toboggans from the 1920s & 30s in Eliason’s in Sayner along Highway 155. 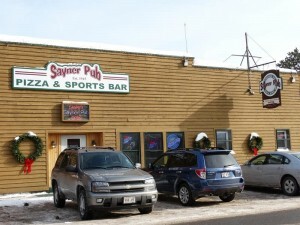 Sayner’s tiny downtown strip marks the northern edge of Highway 155. 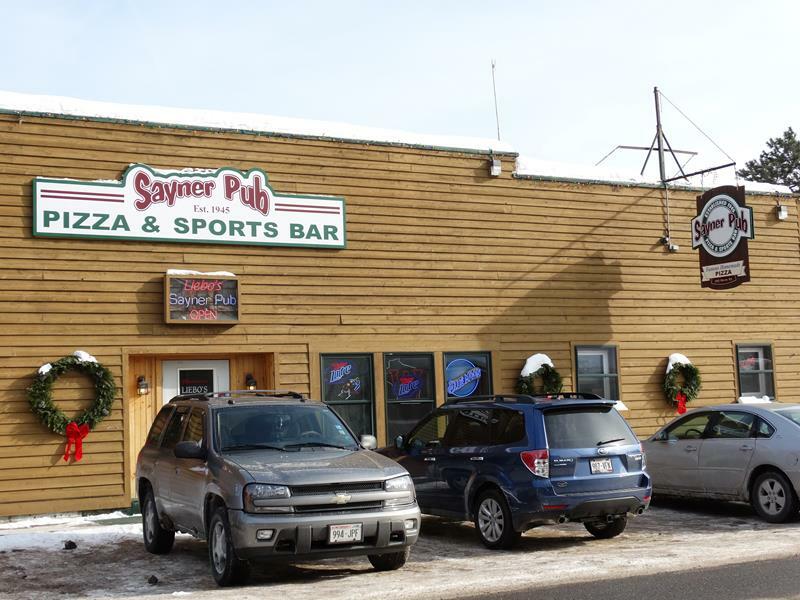 Bars and restaurants like the tasty Sayner Pub and Danny’s offer up grub and refreshments while boutique stores like Traditions and GreenWeavers offer clothes and home items you may not expect to find in such a small burg. 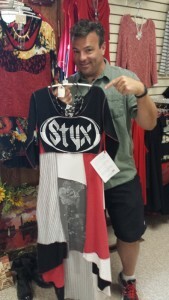 Like this women’s dress – with the logo from the band “Styx” on it (see right) that we stumbled across. 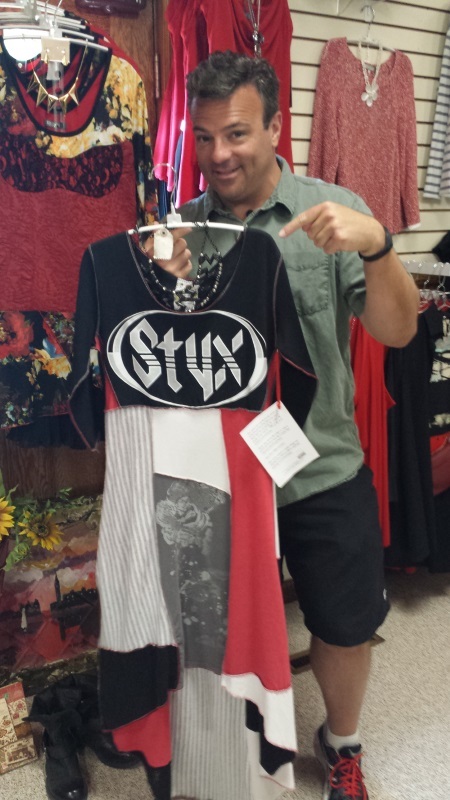 Alas, it wasn’t my size. Several snowmobile trails cross in Sayner, either part of or connecting to some 600 miles of maintained trails in Vilas County alone. Sleds are welcomed to town under this arch on one trail, reminding them they’re in their machine’s birthplace. 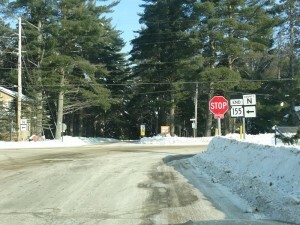 Highway 155 comes to an end at the north edge of downtown Sayner, not connecting to any other state highway but instead at a county road: County N, which connects west to U.S. 51 and east to Star Lake. Plum Lake, an eight mile-long example of why the lakes up here are extra beautiful, is just to the north and hosts a variety of resorts along its shores. It’s where Camp Highlands, one of the nation’s oldest summer camps, was founded in 1904. The Plum Ski-ters Waterski Club performs regular shows at Plum Lake Statehouse Point Wednesdays and Saturdays at 7p.m. during the summer season. Along Plum Lake just east of Sayner, you’ll also find the Plum Lake Golf Course; founded in 1912, it’s the oldest 9-hole golf course in Wisconsin. 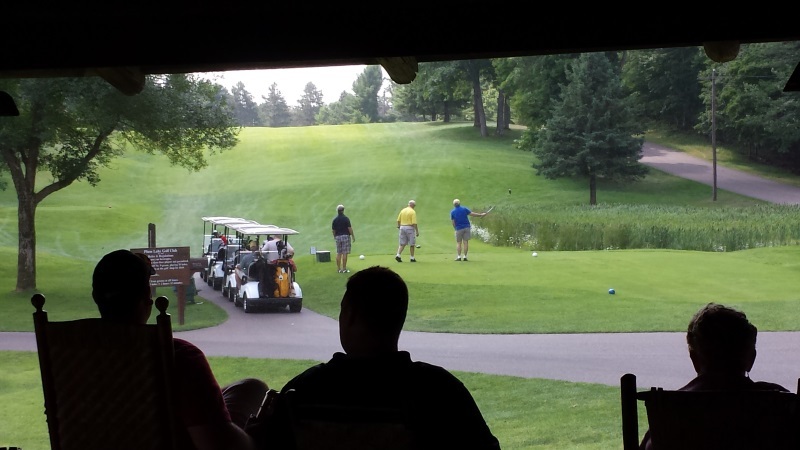 More recently, it’s also been voted the best 9-hole golf course in the state. It’s open to the public for golf. 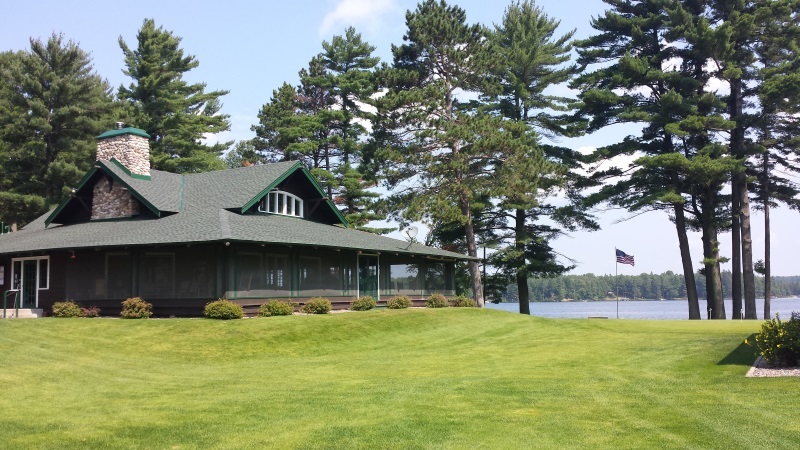 The clubhouse reveals beautiful views of both greens and Plum Lake, and to sit in the breezeway on a warm summer day is to truly, happily, get away from it all. 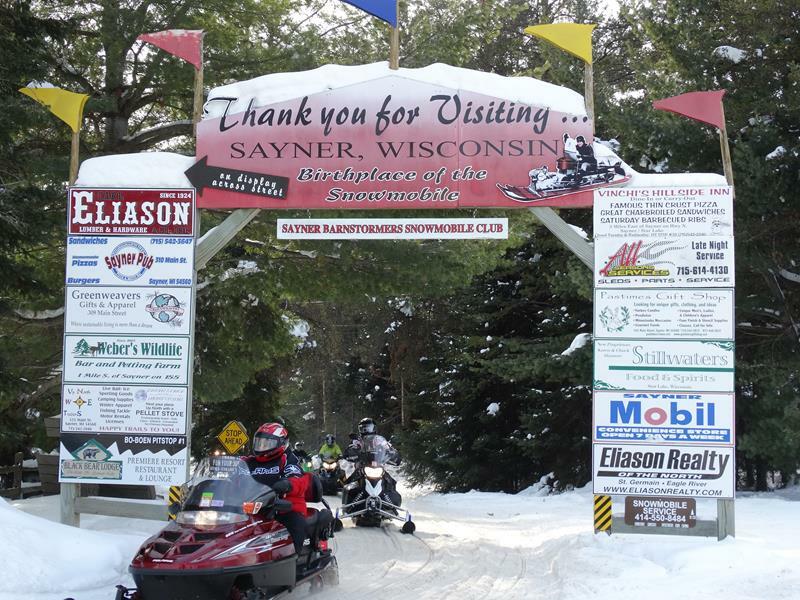 So there you go: seven miles of St. Germain to Sayner, with snowmobiles as the main theme. 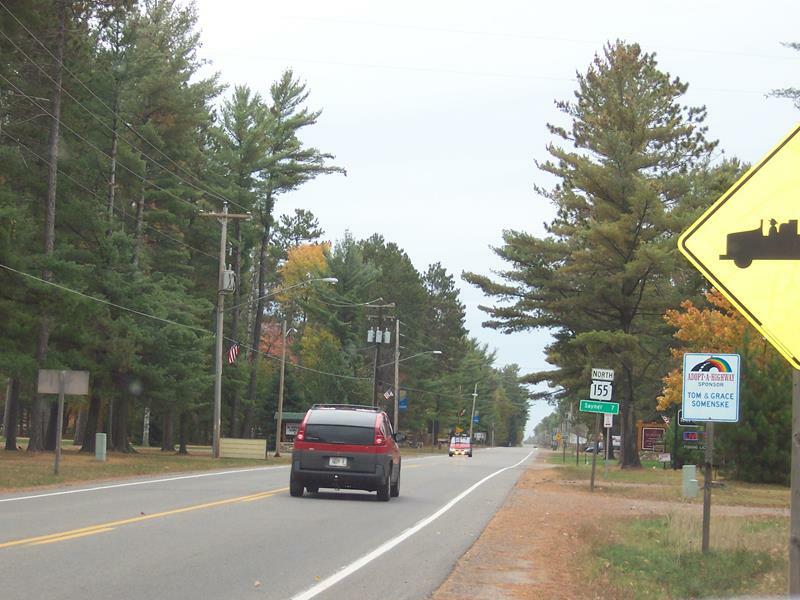 It’s a brief but pleasant drive connecting two North Woods communities that offer plenty of outdoor recreation and everything from museums to golf to shopping to a petting zoo – at a tavern. 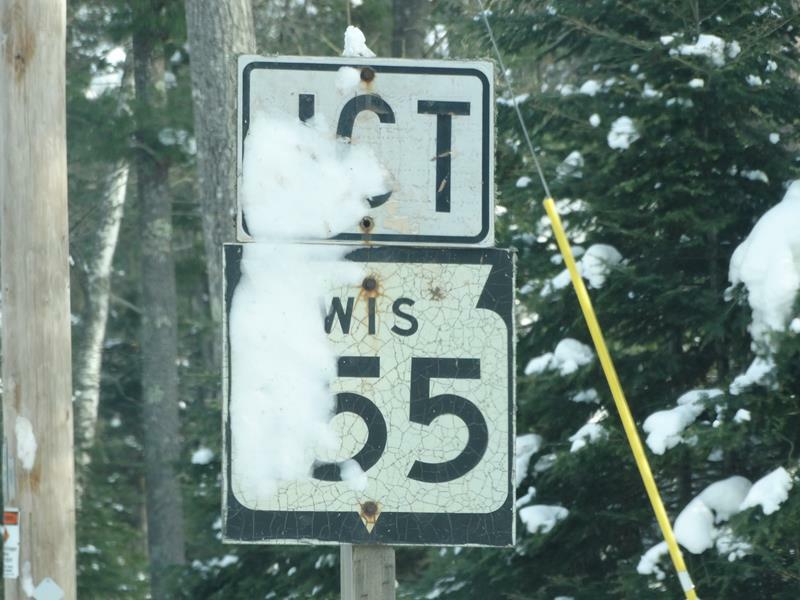 Check out Wisconsin Highway 155 next time you’re up North! 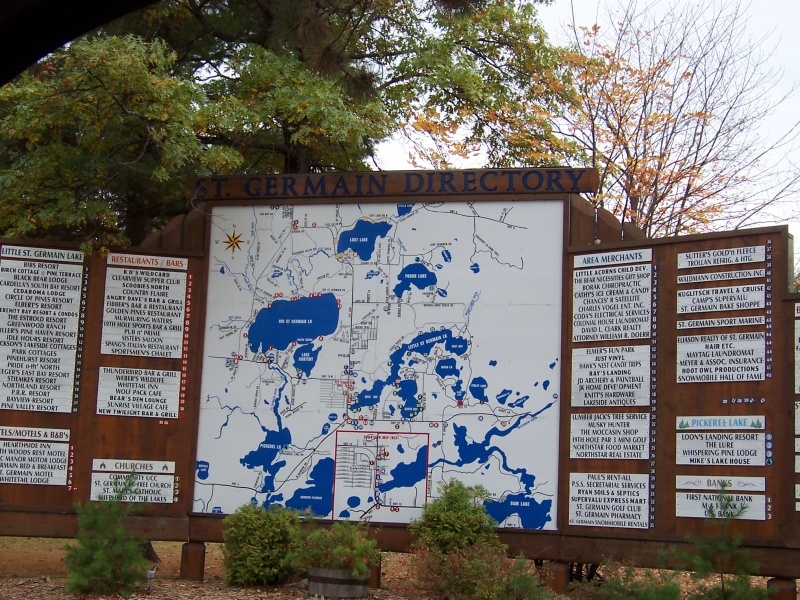 • The original designation of this route was State Highway 72. 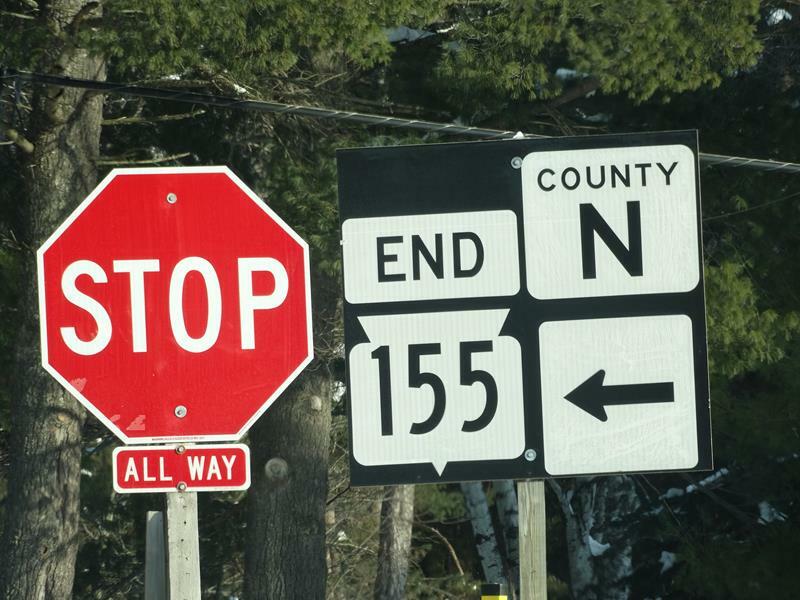 • Highway 155 has been a largely unchanged route since it was designated in 1926. 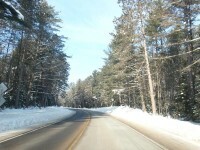 • The first patented snowmobile was invented along today's Highway 155 in Sayner.